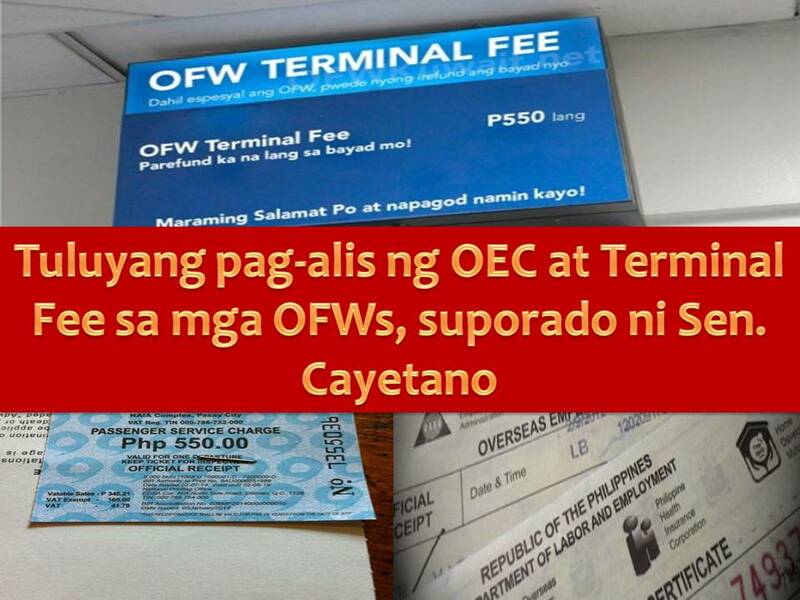 In particular, Cayetano is pushing for the abolition of Overseas Employment Certificate (OEC) and the collection of terminal fees. Last week, OFWs in Hong Kong protested against the same policies outside of the Office of the Philippine Consulate General. 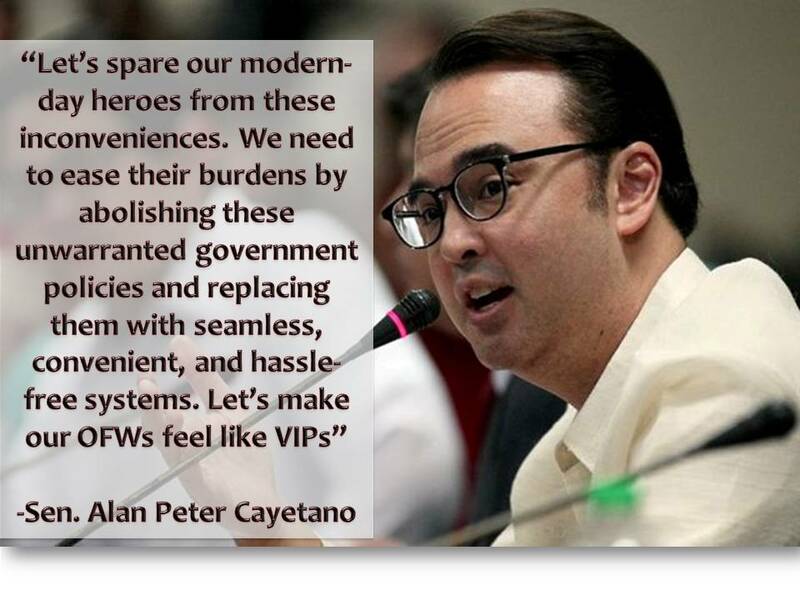 Cayetano added that by law, migrant workers are exempted from paying the terminal fee. But since it is included in the ticket prices, they still have to line up to get refunds, which at times even caused missed flights. On the other hand, Garry Martinez of Migrante International called the OEC as "money making scheme of the government hence, urging President Rodrigo Duterte to permanently abolish the OEC. A study by Migrante International showed that every newly-hired OFW shells out an average of Php30,000 in the processing of documents. This amount ballooned from 2010’s average cost of P18,000 per new contract. 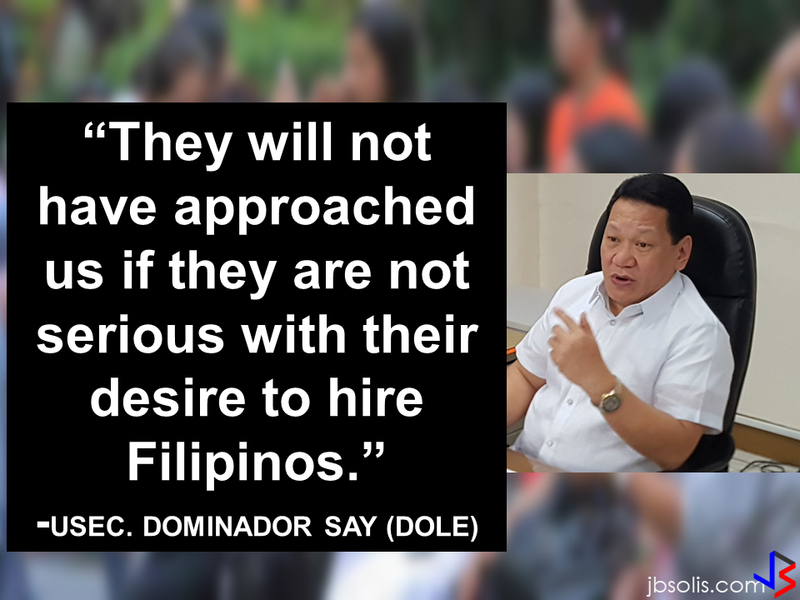 Last month, a labor group was urging President Rodrigo Duterte to abolish all kinds of recruitment fees, being asked from workers who want to work abroad particularly the placement fees. 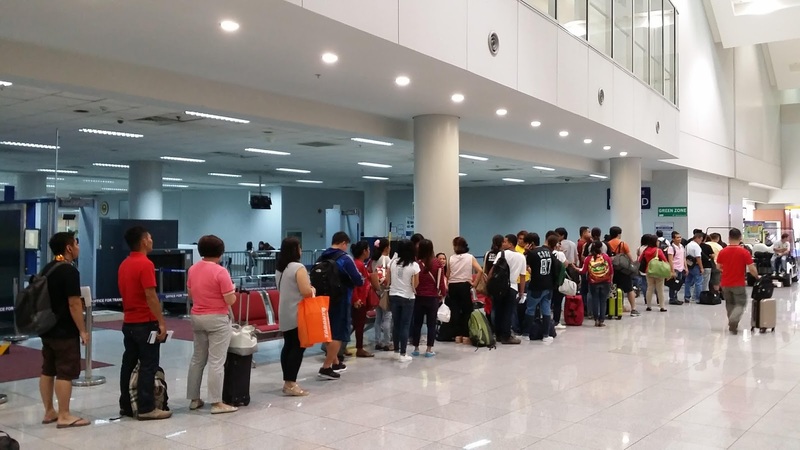 According to Public Services Labor Independent Confederation (PSLINK) President Annie E. Geron said that the imposition of recruitment fees has led only to exploitation of overseas Filipino workers (OFWs).